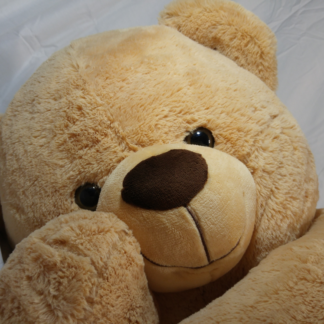 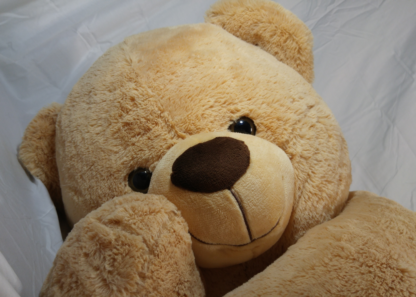 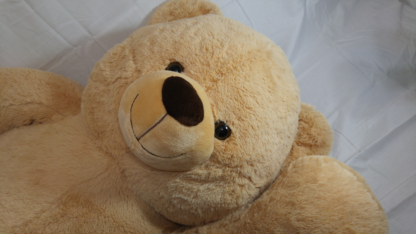 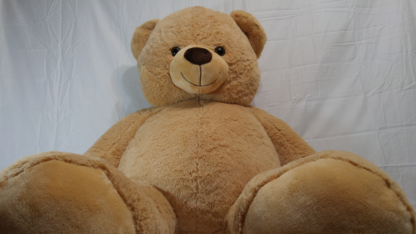 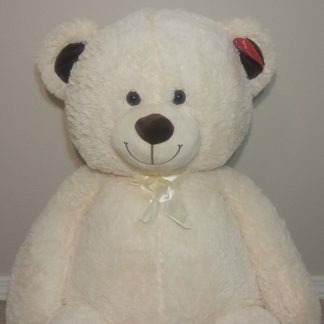 This giant caramel teddy bear stands up to 55″ tall. It has various soft fur textures, acrylic eyes, embroidered paw pads, and a plump belly. 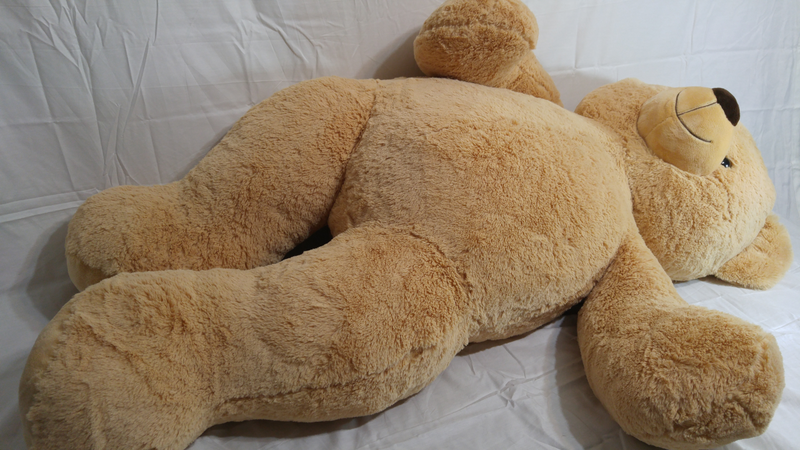 It sits comfortably on its rear in the upright sitting position. 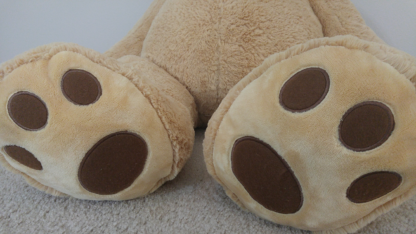 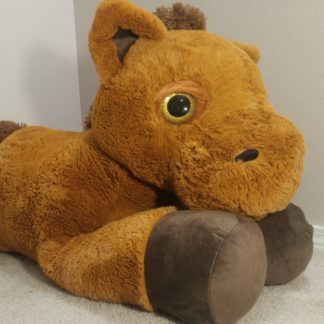 This plush can be modded with up to three different holes. 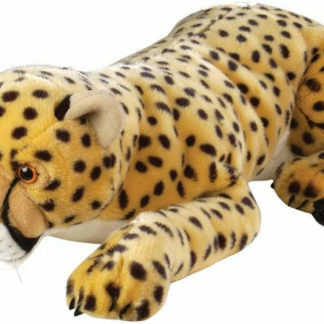 There is no internal toy storage pouch option on this plush. 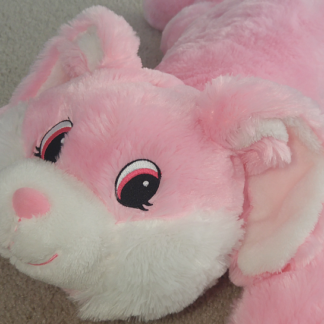 This plush can be fitted with a vibrating silicone insertable hole, and a vibrating strap-on device.